PERRINO, Elena R. (Capobianco), 88, of Eagles Nest, passed away Monday, August 13, 2018 at home. She was the beloved wife of the late James A. Perrino. Born in Providence, she was the daughter of the late Nicholas and Rose (Famiglietti) Capobianco. 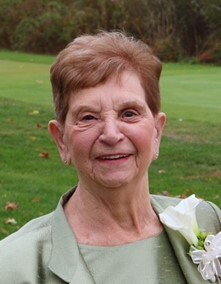 Mrs. Perrino was a bank teller at the former Greater Providence Trust Bank for many years. She is survived by two daughters, Diane Ross and her husband Raymond of Pawtucket, Cheryl Senerchia of East Greenwich; a son, James N. Perrino of Raynham, MA and two grandchildren, Rebecca Izzo and her husband Alfred and William Ross. She was the mother-in-law of the late David Senerchia and sister of the late Josephine Capobianco.